There’s no better way to celebrate your vow renewal than with a twirl on the dance floor. And there’s no better way to do it than with a flowing, chiffon gown. 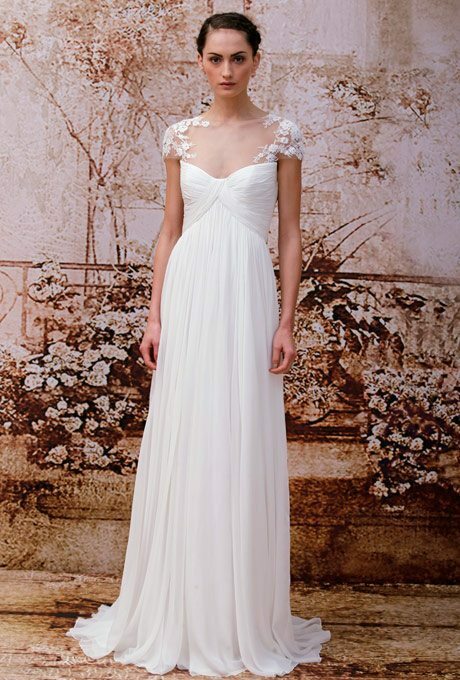 We love the delicate, feminine outline of this gown. The transparent neckline and floral sleeves of this dress scream fairy tale! Bring this eyes up and show off your toned arms in this fantasy-like number. This contemporary beauty has a beautiful neckline and skirt made for dancing. A bit more glamorous, this design shows off your curves but stays super sophisticated in style. Dress this gown up with beautiful accessories and your own unique spin. Probably my personal favorite of the bunch, this gown has every element of a romantic moment. This design is a tiny bit more hip and trendy in design, and we love it! 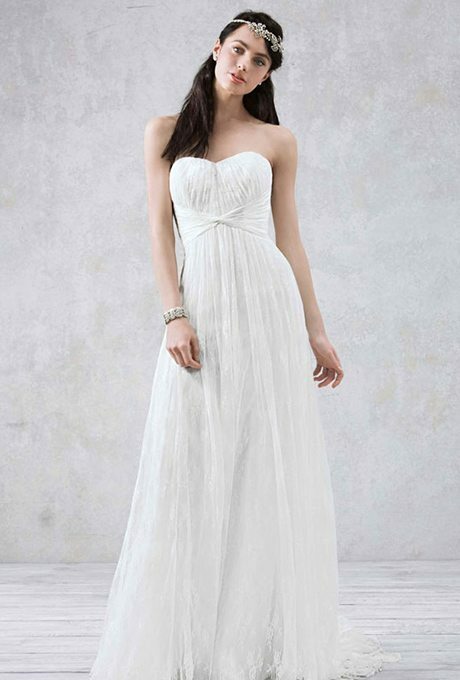 A subtle and simple dress could be your ticket to a fairy-tale renewal celebration. Show off your curves in a free-flowing way with this boho beauty.